INCREDIBLE LAKEFRONT HISTORIC HOME ON 1.85 ACRES. A long winding pavered driveway leads up to this Spanish Eclectic revival style two story home built in 1928 and owned by the same family for almost the last sixty years. The home also offers multiple stunning views of Lake Elbert, a large (172 acre) lake renowned for it's fishing and skiing. Included in the sale is the lakefront parcel which offers an almost unheard of 275 ft of lake frontage with private covered dock. The home offers high ceilings in most rooms including the massive (30x18) great room with towering curved ceiling, wood burning fireplace and great lake views.The kitchen offers a butlers pantry and opens up to a very spacious (18X15) formal dining room overlooking great room. The home has three large bedrooms all with hardwood floors upstairs and the master has an in-suite bath with tub and separate shower.The home also offers inside laundry room, downstairs office or fourth bedroom and lakeside breakfast room. Relax outside on the large front lakeside courtyard offering incredible sunsets. The home also has a four car (42x22) detached side garage. The lawn is irrigated from the lake. 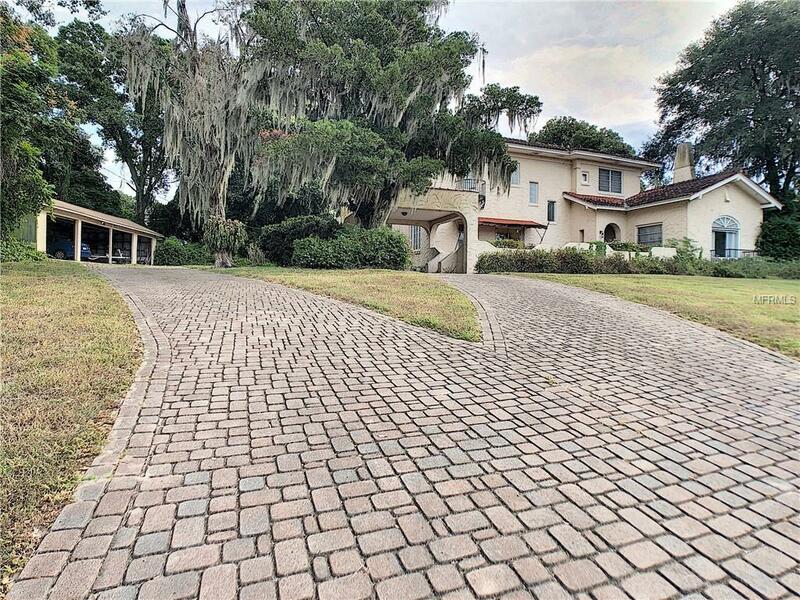 This property is on a quiet street with no HOA, amongst other relevant and historic homes, across the lake from Polk State College. Your chance at owning a historic estate home on large lakefront land. Home is AS-IS AND CASH ONLY. It will need considerable renovation and updating of some significant functions.